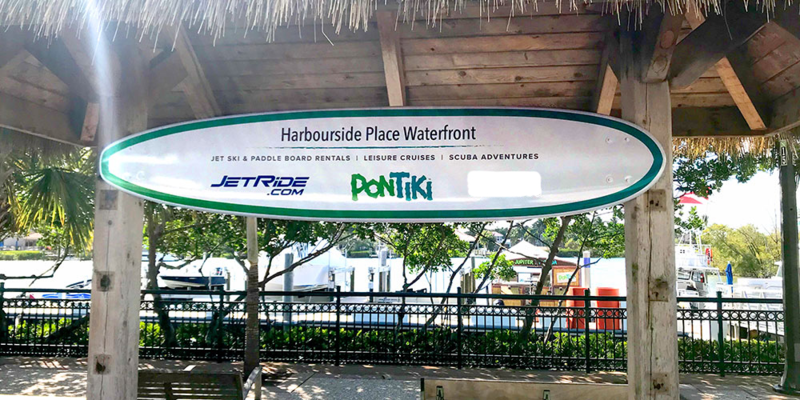 Visit the Harbourside Place waterfront for daily cruises from Pontiki or experience the water on JetRide! Hours may vary. Visit: gopontiki.com & jetride.com.